I captured this radar image on the NEXTRAD radar a few minutes ago. 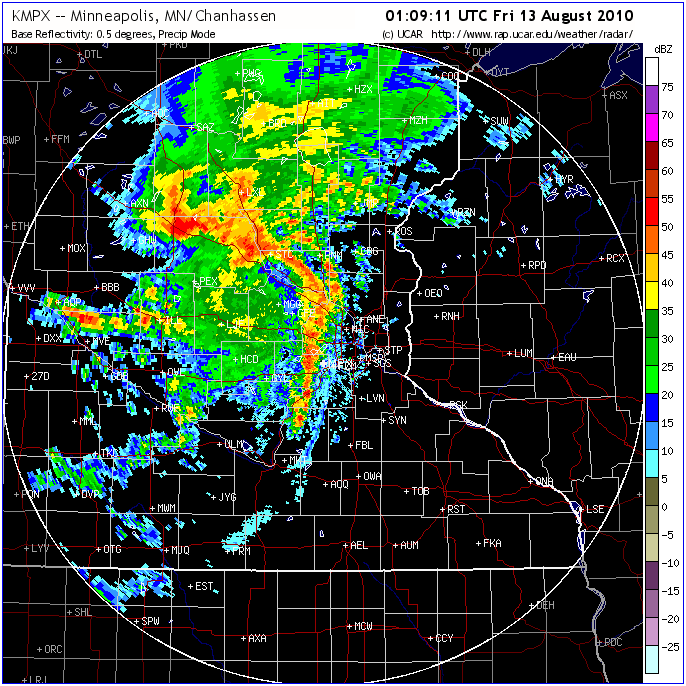 Check out the bow echo heading for the Twin Cities. Should be an interesting evening. 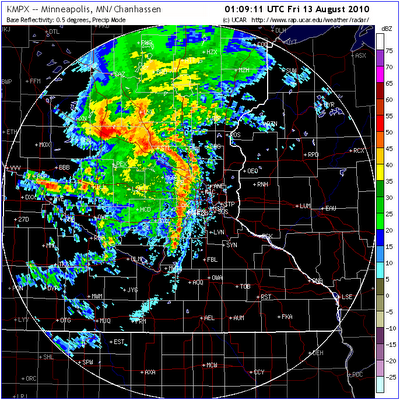 You can read more about bow echos on wikipedia while you take cover in the basement. 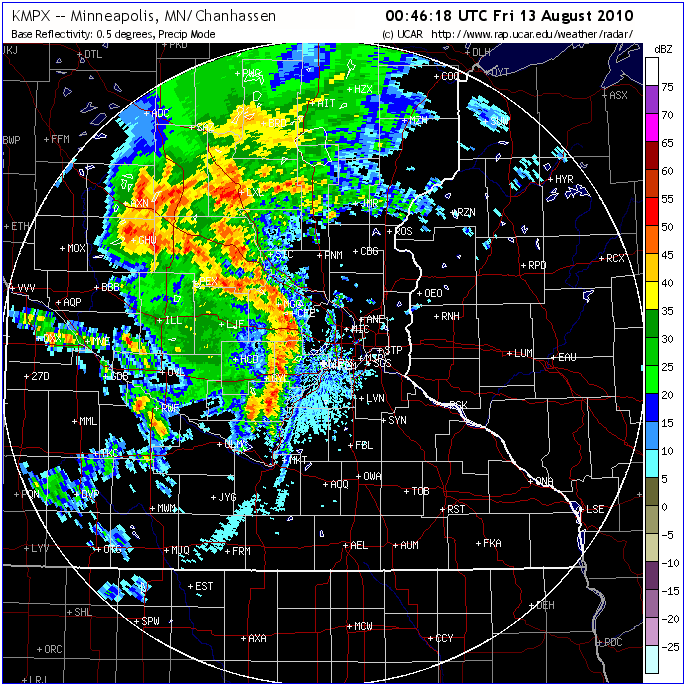 Bow Echo continuing to develop as it heads toward twin cities.